This is the second volume of Plants are Magic by Rebecca Desnos A wonderful magazine, beautifully designed with interesting and inspiring articles and pictures. A magazine for ‘makers, dreamers and plant lovers’. I love that description. 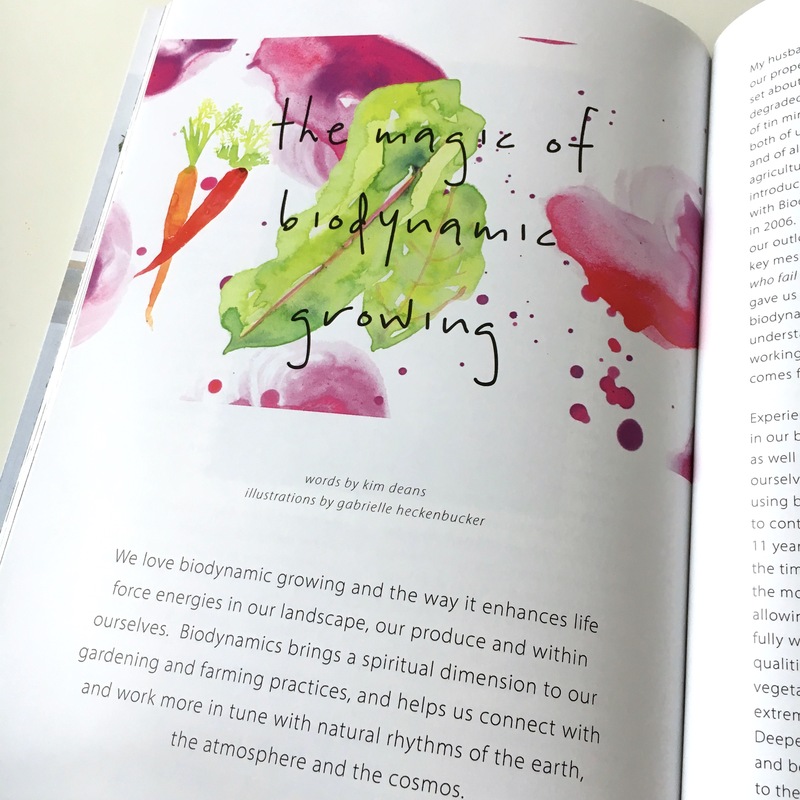 I feel very honored and grateful that one of the articles, ‘The magic of biodynamic growing’ has some of my illustrations. Please take a look at her wonderful website to learn more about the lovely Rebecca, her connection with nature and the amazing process of natural dyeing. Hi Gabrielle, thank you for sharing Rebecca’s magazine. I’ve looked at her website and it’s full of inspiration. Congrats that you’re lovely artwork was included. Lots of love, Jane (your Instagram friend).